Pupils from a Sheffield school visited Whirlow Hall Farm for an unforgettable overnight stay, thanks to the generosity of a city business. Wilson Field, the insolvency and business turnaround company, signed up for the charity’s 480 club which encourages special schools or schools from disadvantaged areas to visit the farm. 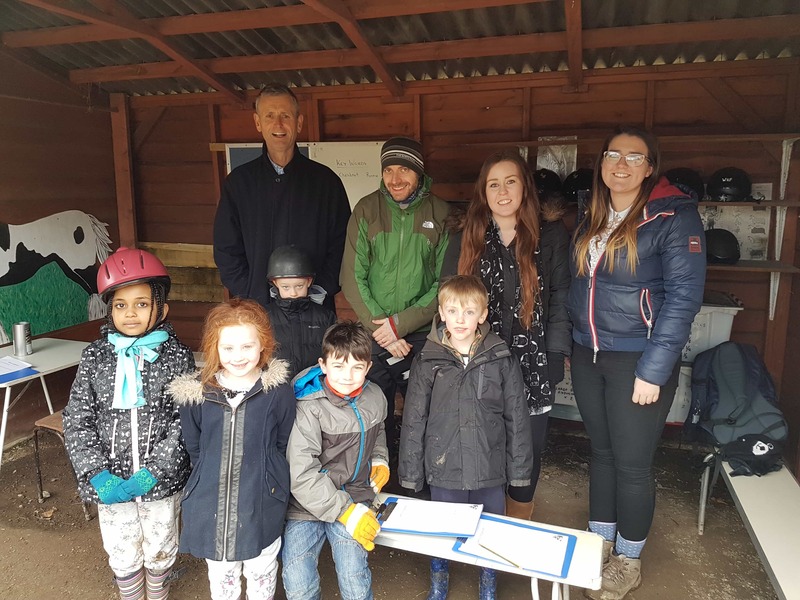 The company, which has its headquarters on Ecclesall Road in Sheffield, paid for 12 children, aged 6 and 7 from Walkley Primary School, to enjoy the magical experience of visiting the farm, go pony riding and stay the night in the bunkhouse. And an extra donation collected by employees at Wilson Field following events including dress down days meant another group of children from the school will also visit on another occasion. 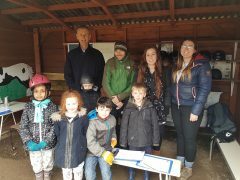 Nick Wilson, managing director at Wilson Field, said; “The farm and its charity provides an outstanding learning experience and a short break for these children and young people. “For many of these young visitors it was the first time they will have visited a farm or the countryside. Many of the children live in a secure and loving environment but their parents simply cannot afford holiday breaks. The 480 club only includes schools which have 25% or more children entitled to free school meals or are special schools. Some of the schools are located in areas of social deprivation and poverty where crime rate is high and where children can suffer the consequences of anti-social behaviour and substance abuse. Such problems can impact on a child’s personal development and self-esteem. Walkley Primary School deputy head Chris Wallis said; “Walkley pupils have benefited from the Whirlow Hall Farm Trust residential for many years and as a school with many pupils coming from disadvantaged backgrounds, the 480 scheme helps all pupils to access the wonderful Whirlow experience. The children are given the opportunity to learn in a practical ‘hands-on’ way about farm animals, food production and the importance of caring for the natural environment. They participate in a range of farm jobs, such as grooming ponies, cleaning out stables and hen houses and collecting eggs. They also have the opportunity to ride ponies and participate in a range of healthy outdoor activities. Through these experiences they learn the importance of becoming responsible, caring and empathetic members of society. Whirlow Hall Farm was set up in 1979 by Alan Aikin to allow inner-city children to come and experience the wonders of the countryside and develop their understanding of where their food, farming and the countryside. Since then many thousands of children and young people have visited the Sheffield farm on a daily or residential basis. For further details on Whirlow Hall Farm’s 480 club, email eventsenquiries@whirlowhallfarm.org or call 0114 235 2678.